Sometimes I make myself shake my head. 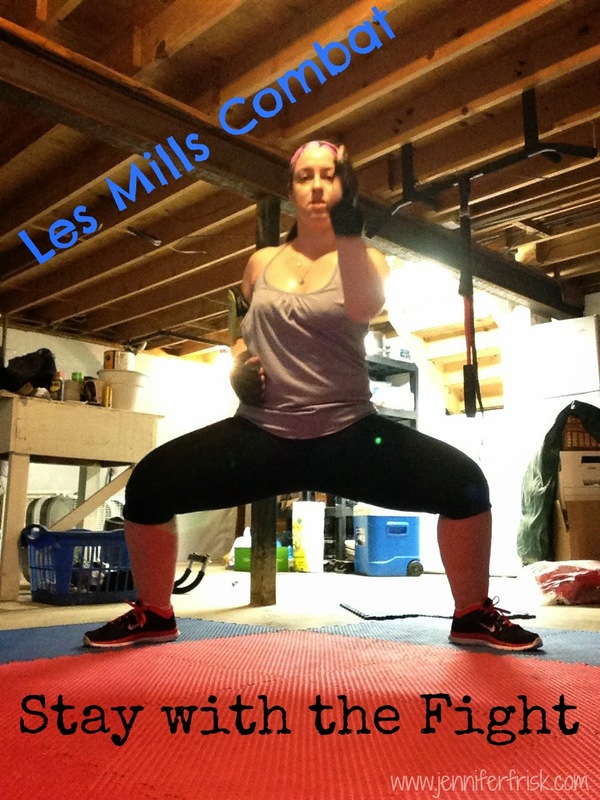 I've had Les Mills Pump for about 2 years now, and I did the program when I first got it. Loved it then, but haven't done the program since. Got Les Mills Combat shortly thereafter but never truly committed to the program. I'm not sure why not. I think it had something to do with all of the amazing new programs Beachbody has come out with in the last two years. But for some reason, I never fully got on board. Seriously, this week? Combat and Pump have been exactly what I've needed. It's no secret that it's been a tough week. In truth, emotionally, it's been a tough couple of weeks. But I have looked forward to every single workout this week. Every. Single. One. And I've even added an extra Combat this week! The week's scheduled workouts included Pump & Burn, Pump & Shred, Combat 30, and Combat 45. Pump & Burn (33 minutes) - This workout is lower in intensity, but it hits every major muscle group in the body. The calorie burn per minute may only be ~6 for me, but I will tell you, my arms and back were feeling it by the end of their respective tracks! So what's in this one? 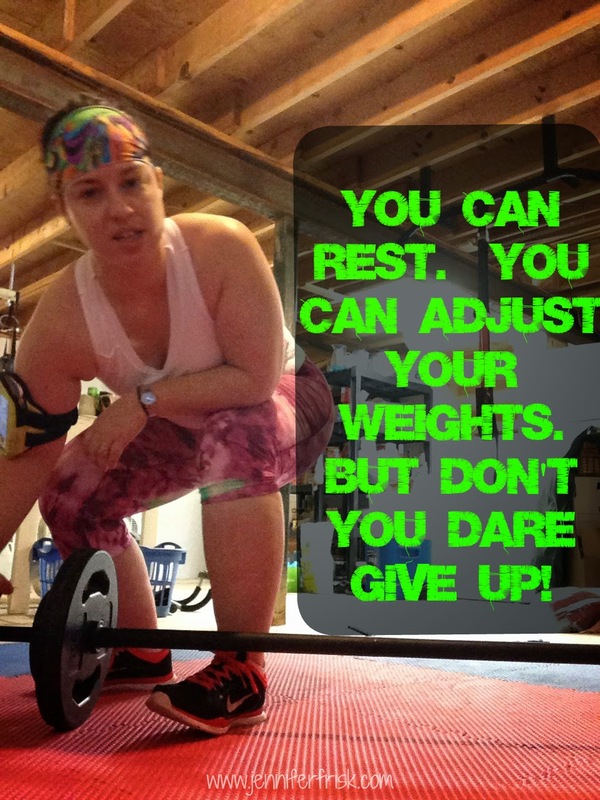 Squats, chest press, clean and press, crunches, modified plank moves, and a TON of rows! It's a great, quick power workout. Pump & Shred (47 minutes) - I actually prefer this one over Pump & Burn simply because it leaves my arms and legs SHAKING! It's very similar in content to Pump & Burn but has the addition of weighted lunges (OMG!) and shoulder work (including push-ups and free-weight work). I was spent at the end of this one, but at the same time, I felt energized. Combat 30 KickStart (30 minutes) - my favorite workout of the week!! Fast and furious punching and kicking, and my heartrate never dips! This one was a repeater on the schedule (and the one I added as an extra), and I consistently averaged over a 10 calorie per minute burn. Intense. Fast. But most of all, empowering. 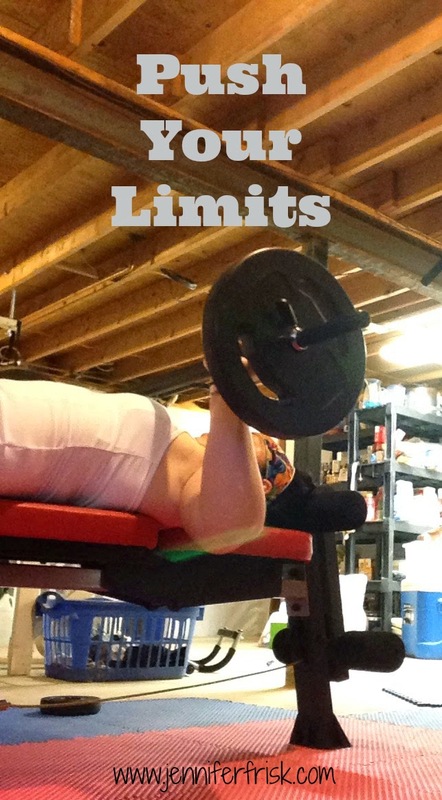 This is the workout that makes me feel like I can handle anything. This is the workout that gets me re-centered, calm, and able to face the day. Every issue that I bring into this workout is typically gone in the first 10 minutes.....and then the rest is simply fun! Boom! LOVE this one! Combat 45 (43 minutes) - This one has several of the same elements that Combat 30 has, but it is a little more of a steady state cardio workout. My heartrate wasn't up nearly as high, and I didn't feel nearly as winded. But the kicks and punches were more methodical, more calculated. Still liked this one a ton, but not nearly as much as Combat 30.